Help celebrate the new College of Design and kick off the academic year at a launch party in the Lawrence Hall Courtyard and the Hayden and Krause galleries on October 6, 1–3 p.m. Refreshments will be provided and free College of Design T-shirts will be available to the first 100 students. 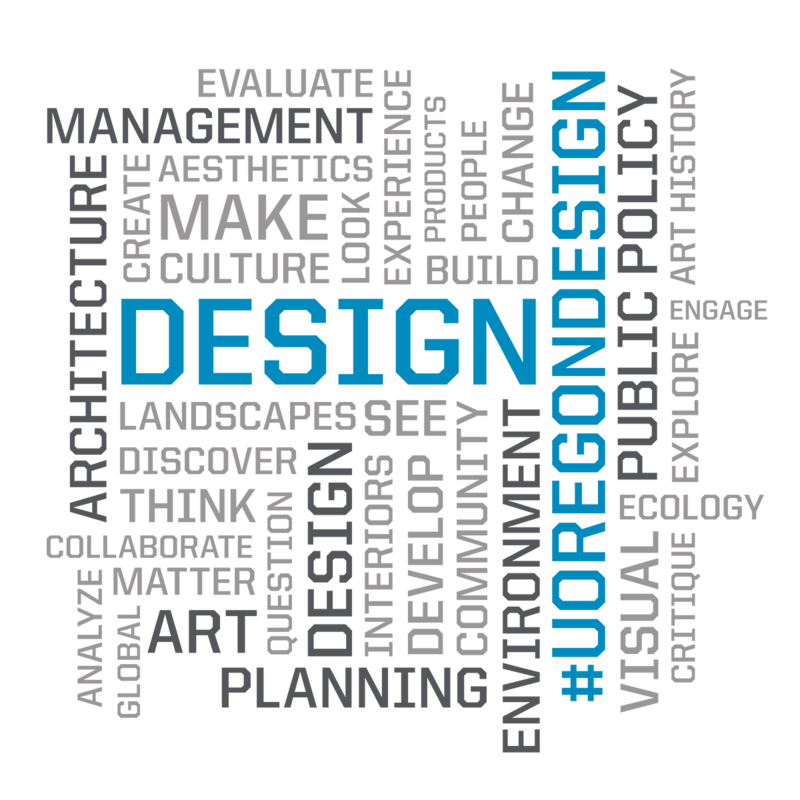 All students, friends, alumni, faculty and staff are invited to join the festivities and mingle with members of the UO Foundation Board and College of Design Dean’s Advancement Council. President Schill will also give remarks. The new College of Design emerged from collaboration and input by faculty, staff, students, dean’s advancement council members, and a college strategy working group. The university approved the proposal by the former School of Architecture and Allied Arts to become a college in Spring of 2017. The College of Design comprises the new School of Architecture & Environment, the new School of Art + Design, the new School of Planning, Public Policy and Management, and the Department of the History of Art and Architecture. Faculty generated the school names by consensus, and the College of Design name emerged from naming parties, a faculty survey, and extended discussion with school leadership. “Our new name signals a shared commitment to creative problem-solving, original thinking and real-world engagement,” said College of Design Dean Christoph Lindner.